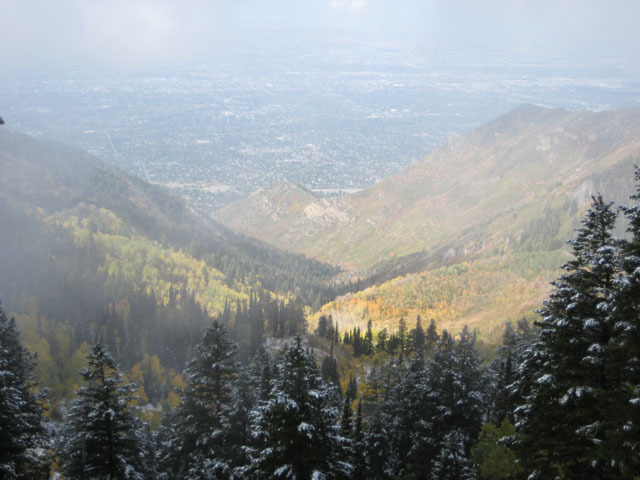 A volunteer clean-up event will be held on Friday October 10th, in the beautiful Mount Olympus Wilderness Area on a pre-defined path from Neff’s Canyon trailhead over to the Alexander Basin Trailhead in Millcreek Canyon. The organizer will pre-place several markers (ribbons) hours before the event at trail junctions to aid in helping the volunteers navigate the path correctly and not get lost. This is done to facilitate folks moving at their own pace rather than having to move as a group. The last volunteer is asked to remove the markers as they move along the trail. There will be very few markers so all voluneers are encouraged to study the map below and bring a copy with them. Gear : Warm clothing head to toe. Headlamp with extra batteries, recommended cell phone and/or radio and/or Spot tracking device. If your you’re not up for navigating the full 13 mile clean-up event, we suggest a shorter 7 mile version. Please come to the Neffs Canyon trailhead with everyone else, at least 15 minutes before the start of the full length version (i.e. 4:45 PM) for a pre clean-up discussion and to collect your garbage bag. 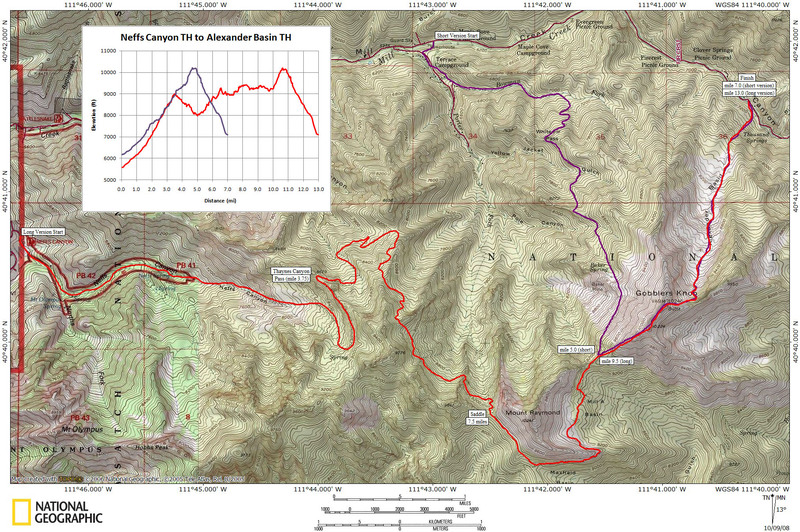 After which you’ll shuttle up Millcreek Canyon to the Terraces gate (~4 miles up from the fee booth on the RH side) and begin your journey (keep track of your start time) on pavement for .25 miles and then on the beautiful trails up Bowman Fork and up to the saddle (5 miles) between Mount Raymond and Gobblers Knob . From this point on you’ll be on the same path as the full length version as you scramble up the ridge to the top of Gobblers Knob and descend down to the Alexander Basin TH, which is the ending point for both the long and short versions. The weather WILL be cold and could very well be wet. Please come prepared with appropriate clothing and footwear. You WILL need a headlamp with extra batteries. So, if you’re interested in this fun, friendly, clean-up event let me know (jared [at] door5 [dot] com) ASAP! “Marking the course” for an illegal Wilderness Area event sounds a lot like littering. If you really need to do that, make sure your all your marking and all your race trash is cleaned up by sunrise on Saturday. And don’t be surprised if the Forest Service shows up.